This summer, we are excited to announce several site updates. See more below! 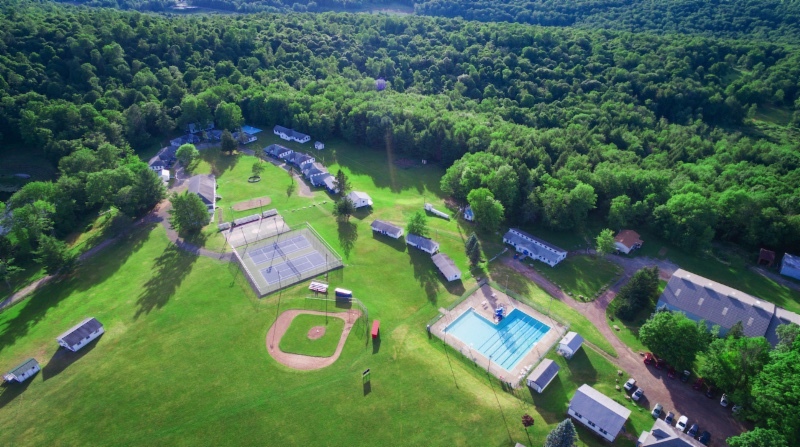 We feel very strongly that Perlman Camp has an obligation to our community to do everything in our power to reduce the risks associated with ticks, mosquitos and poison ivy. For that reason, we have partnered with Ivy Oaks Analytics, a public health company that specializes in the control of ticks, mosquitos, and poison ivy at large campgrounds, parks and summer camps. Perlman Camp is proud to be one of the few camps nationally with an advanced public health standards certification by implementing this program. Click here to learn more. As part of our ongoing investment in our Teen Leadership Program, made possible through the generosity of the Sheila L. Berner Memorial Fund, our Pioneers will have a new pavilion installed in Pioneer Village, in addition to new tents, updated latrines and shower houses. We appreciate our campers’ feedback regarding food served at camp and are excited to introduce a number of new meals to the menu this summer. Keep an eye out for chicken caesar wraps, soup-in-a-bread-bowl, meatball subs and more! In addition to the updated menu, campers will receive a nighttime snack after evening programs.